The U.S. Coast Guard announced on Monday that it would join the Department of Defense on its EHR project to transition the patient records of its service members and clinics to the DoD’s MHS Genesis platform. The Coast Guard’s needs will be incorporated into the DoD’s $4.3 billion contract with Leidos, rather than signing a direct contract with Cerner -- unlike the Department of Veterans Affairs plans to contract directly with the vendor. DoD officials are uncertain whether the contract ceiling will need to be raised to accommodate the Coast Guard’s requirements. The Coast Guard is about 6 percent the size of DoD, according to Rear Adm. Michael Johnston, the Coast Guard’s director of acquisition programs. Johnston said the Coast Guard will integrate its rollout into the DoD’s deployment schedule and will lean on those lessons learned to ensure success. And while there’s currently no timeline, officials estimate deployment will happen in a fraction of the time than the DoD. “We’ll have them deploy to one or two sites like we did, do an evaluation and make sure that the software baseline and the technology, as well as the infrastructure, meets the needs of the users, and our intention would be to enfold them into the deployment strategy as appropriate,” said Stacey Cummings, the lead acquisition official for Genesis. The partnership will move the Coast Guard from paper records, which the branch has been using for nearly three years since it ended its contract with Epic. 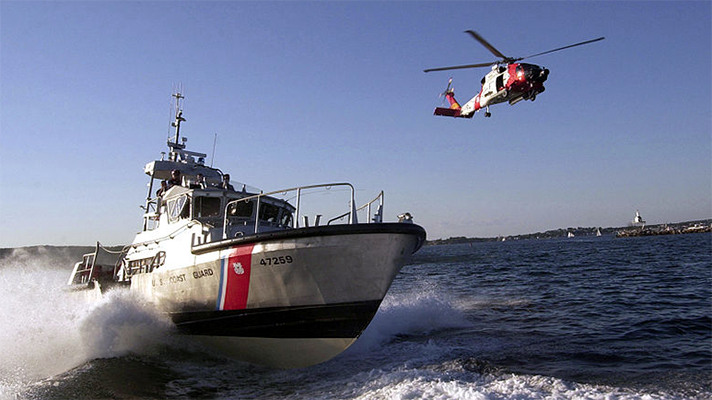 The Coast Guard spent more than $60 million over seven years on an Epic contract, which never took off. The contract was canceled in 2015. While the agency plans to rollout out its EHR following the same schedule as the DoD, questions remain over cost, initial sites and how the Coast Guard will transition all of its paper records to the new system. But the Coast Guard is confident in its choice, having performed a thorough analysis of requirements and alternative platforms. The branch put out an RFI last year to assess its options, and its acquisition officials determined that adopting MHS Genesis was the best choice. Cummings said that they’ll consider the needs of the Coast Guard and assess the platform as they’ve done throughout the pilot process. But a DoD notice published on Monday appears to note that the Coast Guard partnership will add complexity to its Leidos contract. Currently, the DoD is in a planned assessment stage, addressing user concerns and ironing out workflows. Cummings noted that the biggest issues stem from lag-time due to the necessary security needed for the platform. Once users are in, the system runs smoothly, but logins are delayed. Officials are addressing those issues, ensuring that security remains intact.